Amazon is here with a great deal offering Star Wars The Force Awakens Electronic Lightsabre, Multi Color at Rs 414 . 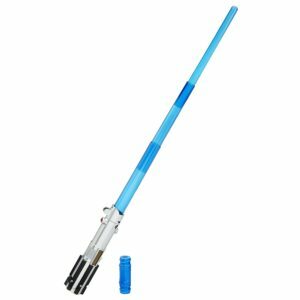 Launch into action and adventure in the world of star wars with this awesome luke sky walker blue electronic lightsabre from star wars: the force awakens. Grab Now..!! How to Buy Star Wars The Force Awakens Electronic Lightsabre?